Potomac Valley Pekingese Club, Inc., is a tax-exempt corporation, whose objectives are to, rescue, protect and place homeless Pekingese, and to serve the breed by enhancing public understanding, encouraging responsible ownership and providing fellowship with fellow owners or fanciers of the noble, historic Pekingese breed of dog. Membership in the Potomac Valley Pekingese Club affords you the opportunity to forge friendships and meet people who share the same love and interest for the Pekingese Breed. Even though our core area covers the Virginia, Maryland, and District of Columbia area, we do have members throughout the country and Europe. 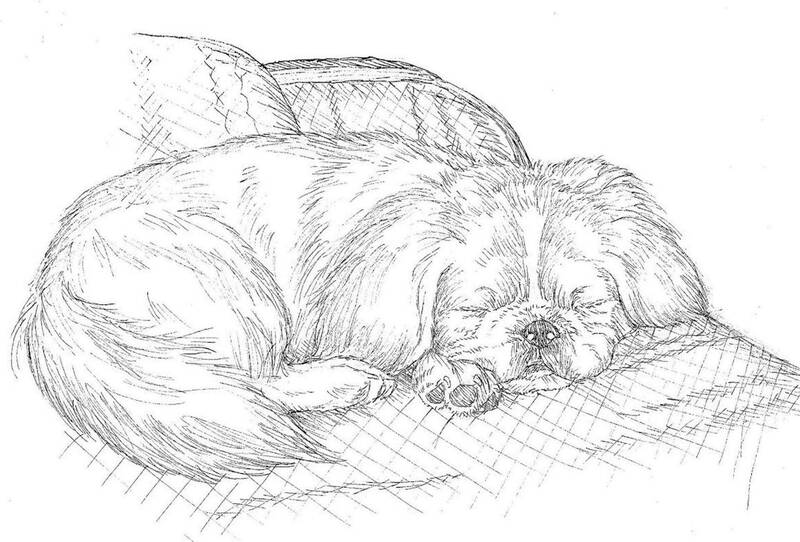 The history of Potomac Valley Pekingese Club is a long and varied one. On February 26, 1984, 13 Pekingese fanciers gathered in Upper Marlboro, MD to establish a Pekingese club in the Northern Virginia/Maryland area. The purpose was to comply with AKC rules to become a show-giving club to serve this region. A lot was accomplished at that first meeting, such as determining the name for the club, meeting dates ( 2nd Thursday of each month), and plans for the first of many fun matches held by PVPC. Pro-tem officers were appointed, as well as committee persons such as membership and publicity. A by-law committee of 5 members was appointed, and it was their duty to create the by-laws by which PVPC would be governed. I was asked to serve as president, until our first formal election, after the by-laws were accepted by the membership, and we were incorporated in the commonwealth of Virginia. A lot of the wording of our rules and by-laws today are from that original document. There was much enthusiasm, and our first fun match was set for June 10, 1984 and was a huge success, with Pekingese fanciers from neighboring states coming out to support the new club. During the first few years, PVPC sponsored two fun matches a year-the largest one in the fall, in an indoor facility in Maryland, and another in the spring at a Virginia county park. The term "full service club" was often used, because we wanted to serve and include all aspects of Pekingese ownership. Owners of companion Pekingese were welcome, as well as those involved with the sport of breed conformation and obedience training. Our meetings often included a speaker to discuss some aspect of Pekingese care or training. We also decided to include a program to rescue Pekingese, although most of us felt it would not be needed too often. After all, who would want to "throw out" such a wonderful dog as the Pekingese? In November, 1988, I received a call from a boarding kennel stating they had two Pekingese that the owner no longer wanted. I don't know how they got my name, but it was the start of something big. Another club member and I were off to the kennel and took possession of a male and female Pekingese. They were neutered, and current on all vaccinations, just no longer wanted by their owners. I remembered I compared the male to a gorilla. He had a full black, very large head, and most of his teeth were out in front for all to see. I kept the female at my home and the male went home with the other club member, who promptly found a home for him, and the club was given a $15 donation. In spite of his looks, he was very sweet, and very tolerant of children. Not so the female, named Candi. She hated children, and let it be known she was top dog in my house. For one reason or another, there did not seem to be a home for her among my circle of friends, so Candi became one of ours. She traveled to dog shows with us, and was full of confidence. Her memorial page can be seen on our website. As we began to discover, there was a need to protect unwanted Pekingese, and a rescue committee was created for that work within the club. We plowed along, learning from our mistakes, and began to establish guidelines for our rescue work. We soon realized there was a legal side to handling these dogs and began to develop our contracts, applications, etc. They were reviewed for legality, and once again, we moved forward into the world of rescued Pekingese. In the meantime, the breeding and showing members of our club began to dwindle, which affected the number of attendees at our fun matches and other functions. It was apparent we did not have the required number of members for AKC recognition. After much discussion by the board, it was agreed to alter the charter of the club to reflect the mission of rescue. We altered our charter and proceeded to apply for IRS tax-exempt status as a charitable organization. In October, of 1997, we were granted 501(c)3 status. There have been times when our growing pains caused stress for our leaders as we tried to put into place the volunteers needed to complete the work of the rapidly-growing need for a rescue service for Pekingese. Although it seems we never have enough foster homes, the volunteers we now have are some of the most dedicated people we have had, and their selfless support helps us to continue as a first-rate rescue organization. At one point, I thought with education, neuter programs, etc. the need for rescue would come to an end. However, I often compare rescue to housework - it is never completely finished. In the nearly 20 years PVPC has been involved with Peke rescue, we have only improved, and we can all be proud of our accomplishments The dogs who come through our service are truly the lucky ones. THE POTOMAC VALLEY PEKINGESE CLUB, INC. SECTION 1. The name of the Club shall be POTOMAC VALLEY PEKINGESE CLUB, INC. SECTION 2. The purpose of the Club is to promote the continued health, safety, and general wellbeing of Pekingese, and to promote general and specific knowledge of the Pekingese as a companion animal. SECTION 5. The members of the Club shall adopt, and may from time to time revise such By-Laws as may be required to carry out these objectives. SECTION 1. Eligibility. There shall be two types of membership. INDIVIDUAL: Open to all persons eighteen years of age and older in good standing with any of the dog organizations to which they are a member, and who subscribe to the purposes of the Club. LIFE MEMBERSHIP: Admitted to such membership by a major vote of the members in recognition of service to the Club over a period of years. SECTION 2. Dues: Membership for the ensuing year shall be determined by the Board of Directors at its October meeting, and ratified by the membership at the next regular membership meeting. Dues are payable on or before the first of January of each year. During the month of November the Treasurer shall send to each member a statement of dues for the following year. New members admitted to the Club after the first day of October of the current calendar year shall be considered as having paid their dues for the following year. Section 3: Election to membership: Each applicant for membership shall apply on a form approved by the Board of Directors. The application shall state the name, address, and occupation of the applicant, and it shall carry the endorsement of two members. Accompanying the application, the prospective member shall submit dues payment for the current year. All applications are to be filed with the Secretary and may be reviewed by the Board of Directors. The Board may veto membership and withhold presentation to the general membership without cause. A summary of each application is to be sent by email (or mailed if the member does not have access to email ) to the membership for review and comments to be sent to the Secretary by return email or mail. Affirmative votes of three fourths (3/4) of the members responding shall be required to elect each applicant. Applicants for membership who have been rejected by the Club may not reapply within six months after such rejection. RESIGNATION. Any member in good standing may resign from the Club upon written notice to the Secretary. LAPSING. A membership may be considered as lapsed and automatically terminated if such member?s dues remain unpaid thirty (30) days after the first day of the official year. In no case may a person whose dues are unpaid be entitled to vote at any Club meeting. SECTION 1. Club Meetings: Meetings of the Club shall be held in (or within one hundred (100) miles of) Arlington, Virginia at such hour and place as may be designated by the President with the approval of the Board of Directors. Written or electronic notice of each such meeting shall be sent at least (10) days prior to the date of the meeting. SECTION 2. Special Club Meetings: Special Club meetings may be called by the President, or by a majority vote of the members of the Board of Directors who are present and voting at any regular or special meeting of the Board or by the Secretary upon receipt of a written or electronic petition from five (5) members of the Club who are in good standing. Such special meetings shall be held in (or within one hundred (100) miles of Arlington, Virginia, at such hour and place as may be designated by the person or persons authorized herein to call such meetings. Written or electronic notice of such meeting shall be sent at least ten (10) days, and not more than fifteen (15) days, prior to the date of the meeting, and said notice shall state the purpose of the meeting: no other Club business may be may be transacted thereat. SECTION 4. Board Meetings: Meetings of the Board of Directors shall be held in (or within one hundred (100) miles of) Arlington, Virginia, at such hour and place as may be designated by the President with the approval of the Board. Written notice of each such meeting shall be sent at least five (5) days prior to the date of the meeting. SECTION 5. Special Board Meetings: Special meetings of the Board of Directors may be called by the President or by the Secretary upon receipt of a written or electronic request from at least three (3) members of the Board. Such special meetings shall be held in (or within one hundred (100) miles of) Arlington, Virginia, at such hour and place as may be designated by the person authorized herein to call such meetings. Written or electronic notice of such meeting shall be sent at least five (5) days, and not more than ten (10) days prior to the date of the meeting. Any such notice shall state the purpose of the meeting, and no other business shall be transacted thereat. SECTION 6. Quorum for Board Meetings. A quorum for Board meetings shall be a simple majority of the Board. SECTION 7. Voting: Each member in good standing (dues are current, and there is no indebtedness to the club by this member or there are no charges pending against this member) shall be entitled to one vote at any meeting of the Club at which he/she is present. Proxy voting will not be permitted at any meeting or election. SECTION 1: Board of Directors: The Board of Directors shall be composed of the President, Vice President, Secretary, Treasurer, and five (5) other persons, all of whom shall be elected for a one-year term at the Club?s annual meeting as provided in Article IV. General management of the Club?s affairs shall be entrusted to the Board of Directors. Members of the same household may not serve as elected officials simultaneously. SECTION 2: The Club?s officers, consisting of the President, Vice President, Secretary, and Treasurer shall serve in their respective capacities, both with regard to the Club and its meetings. The President shall preside at all meetings of the Club and of the Board of Directors, and shall have the duties and powers normally appurtenant to the Office of the President in addition to those particularly specified in these By-Laws. The Vice President shall have the powers and exercise the duties of the President in case of the President?s death, incapacity, or absence. The Secretary will keep a record of all meetings of the Club and of the Board and of all matters of which a record shall be ordered by the Club. He or she shall have charge of the correspondence, notify members of meetings, notify members of their election to office, notify applicants of their acceptance to Club membership, keep a roll of the members of the Club with their addresses and carry out such duties as are prescribed by these By-Laws. The Treasurer shall coordinate, and ultimately be responsible for all fiscal activities of the Club. The Club?s financial records shall be open at all times to inspection by the Board and may be reviewed annually. The Treasurer shall report at every meeting the condition of the Club?s finances. The Treasurer shall render an annual report of all monies received and expended during the previous year as soon as is possible after the end of the Club?s fiscal year no later than March 30. SECTION 3. Vacancies: Any vacancies occurring on the Board of Directors or among the officers during the year shall be filled until the next election by a majority vote of all the then members of the Board at its first regular meeting following the creation of such vacancy, or at a special Board meeting called for that purpose, (end sentence A vacancy in the Office of the President shall be filled automatically by the Vice President; the resulting vacancy in the Office of Vice President shall be filled by the Board. SECTION 1. Club Year: The Club?s fiscal year shall begin on the 1st day of January and end on the 31st day of December. SECTION 2. Annual Meeting: The annual meeting shall be held in the month of November, at which meeting the Directors and Officers for the ensuing year shall be elected by secret ballot from among those nominated in accordance with Section 4 of this article. They shall take office immediately upon the conclusion of the election and each retiring officer shall turn over to his/her successor all properties and records relating to that office within thirty (30) days after the election. SECTION 3. Elections: The nominated candidates receiving the greatest number of votes for each office shall be declared elected. The five (5) nominated candidates for other positions on the Board of Directors who receive the greatest number of votes for such positions shall be declared elected. SECTION 4. Nominations: No person may be a candidate in a Club election who has not been nominated. During the month of August, the Board of Directors shall select a Nominating Committee consisting of three (3) members and two (2) alternates, no more than one of whom shall be a member of the Board. The Secretary shall immediately notify the committee and alternates of their selection. The Board shall name a Chairperson for the committee who coordinate the committee?s recommendations as prescribed by these by-laws and present a slate to the Secretary by September 15. The nominating committee shall nominate at least one (1) candidate for each office, and at least five (5) candidates for the five (5) other positions on the Board of Directors. After securing the consent of each person so nominated, the committee shall immediately report its nominations to the Secretary in writing. Upon receipt of the nominating committee?s report, and at least two weeks prior to the October meeting, the Secretary shall notify each member in writing of the candidates so nominated. SECTION 1. Each year, the Board of Directors may appoint standing committees to advance the work of the Club. Such committees shall always be subject to the final authority of the Board. Special committees may also be appointed by the Board to aid it on particular projects. SECTION 2. Any Committee appointments may be terminated by a majority vote of the full membership of the Board upon written notice to the appointee, and the Board may appoint successors to those persons whose services have been terminated. SECTION 1. Charges: Any member may prefer charges against another member for alleged misconduct prejudicial to the best interests of the Club or the Breed. Written charges with specifications must be filed in duplicate with the Secretary, together with a deposit of $100.00 which shall be forfeited if such charges are not sustained by the Directors following a hearing. The Secretary shall promptly send a copy of the charges to each member of the Board or present them at a Board meeting, and the Board shall first consider whether the actions alleged in the charges, if proven, might constitute prejudicial to the best interests of the Club or the Breed. If the Board considers that the charges do not allege conduct which would be prejudicial to the best interests of the Club or the Breed, it may refuse to entertain jurisdiction. If the Board entertains jurisdiction over the charges, it shall fix a date for a hearing by the Board of not less than three (3) weeks nor more than six (6) weeks thereafter. The Secretary shall promptly send two copies of the charges to the accused member, one by registered mail together with a notice of the hearing and an assurance that the defendant may personally appear in his/her own defense and bring witness if he/she wishes. SECTION 2. Board Hearings: The Board of Directors shall have complete authority to decide whether counsel may attend the hearing, but both complainant and defendant shall be treated uniformly in that regard. Should the charges be sustained after hearing all the evidence and testimony presented by complainant and defendant, the Board may, by a majority vote of all those present, suspend the defendant from all privileges of the Club for not more than six (6) months from the date of the hearing. And, if it seems that this punishment is insufficient, it may also recommend to the membership that the penalty be expulsion. In such case, the suspension shall not restrict the defendant?s right to appear before his fellow members at the ensuing Club meeting, which considers the Board?s recommendation. Immediately after the Board has reached a decision, its findings shall be put in written form and filed with the Secretary. The Secretary, in turn shall notify each of the parties of the Board?s decision and penalty, if any. SECTION 3. Expulsion: Expulsion of a member from the club may be accomplished only at a meeting of the Club following a Board hearing and upon the Board?s recommendation, as provided in Section 2 of this Article. Such proceedings may occur at a regular or special meeting of the Club, to be held within sixty (60) days, but not earlier than thirty (30) days, after the date of the Board?s recommendation of expulsion. The defendant shall have the privilege of appearing in his/her own behalf if he/she wishes. The membership shall then vote by written ballot on the proposed expulsion. A two-thirds (2/3) vote of those present and voting at the meeting shall be necessary for expulsion. If expulsion is not so voted, the Board?s suspension shall stand. SECTION 1. Amendments to these By-Laws may be proposed by the Board of Directors or any written petition addressed to the Secretary and signed by twenty (20) percent of the voting membership in good standing. Amendments proposed by such petition shall be promptly considered by the Board of Directors and must be submitted to the membership by the Secretary, with recommendations of the Board, for vote within three (3) months of the date when the petition was received. SECTION 2. These By-Laws may be amended by a two-thirds (2/3) vote of the members present and voting at any regular or special meeting called for the purpose, provided the proposed amendments have been included in the notice of the meeting and sent to each member at least two (2) weeks prior to the date of the meeting. SECTION 1. The Club may be dissolved at any time by the written consent of not less than two-thirds (2/3) of the members. In the event of the dissolution of the Club, whether voluntary or involuntary, or by operation of law (other than for the purpose of reorganization), none of the property of the Club, nor any proceeds thereof, nor any assets of the Club, shall be distributed to any members of the Club, but after payment of the debts of the Club, its property and assets shall be given to a charitable organization for the benefit of dogs, as selected by the Board of Directors.